I’ve learned that all good communication boils down to following four simple rules. With them, anyone can communicate about any topic effectively and lovingly. There are also four main violations that create the misunderstandings and ensuing hurt, alienation and confusion that we experience when communicating with others. 1. The first rule is “talk about yourself.” This is our true domain. Share what we feel, think, want, and need. 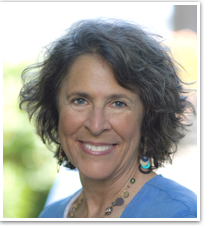 This brings closeness, as we reveal information about ourselves. The First Violation is to tell other people about themselves (without permission). This includes blame, sarcasm, teasing, attacking, and finger-pointing. It only creates separation and alienation. 2. The Second rule is to stay specific. That’s what we do with music, architecture, engineering, cooking, math, physics, and computers; and what we must do when communicating. When we stay concrete others can understand what we’re saying – the topic, the request, the reasons. It brings peace. The Second Violation is over-generalizing. This can take the form of sweeping conclusions, abstractions, and labels, and using words like “always” and “never,” or bringing in other topics only barely related to the subject at hand. This is confusing and it fuels fear. 3. The third rule is kindness. Compassion fosters love. It can take the form of offering appreciations, praise, focusing on the positive, and sharing gratitude. The Third Violation is being unkind. Focusing on what’s not working, on what we don’t like, throws a blanket on furthering a conversation and produces anger and feelings of separation in the recipient. 4. The fourth rule is simply to listen. That means seeking to truly understand what someone is saying, and encouraging their speech. This brings closeness. Listening is a practice. The Fourth Violation is not listening. We know how that feels. Automatic interruptions, debates, and wise-cracks don’t truly acknowledge the speaker but instead further our own agenda. The four rules bring loving, effective communication and feelings of connection. These rules are very simple (but not easy) and the rewards of abiding by them are great. In contrast, the violations apply in virtually every setting and causes communication breakdowns and distance. 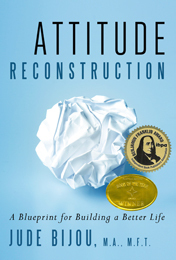 Details about how to communicate the Attitude Reconstruction way can be found in my book, Attitude Reconstruction: A Blueprint for Building a Better Life.